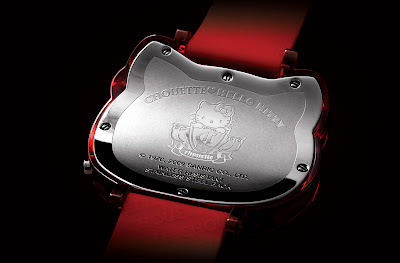 Upcoming from Chouette are these interesting and cool Hello Kitty watch known as the Message ♥ Kitty collection watches. There are several versions in a few colors (about six colors actually). The highest end are rose gold plated with galuchat straps. 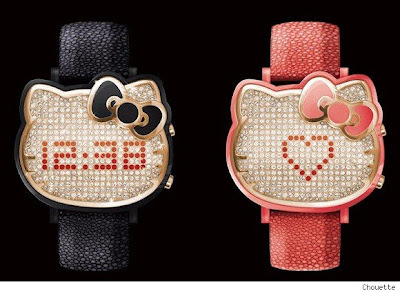 All have full pave synthetic diamonds on the dials. The quartz movement turns the stones into an LED screen. 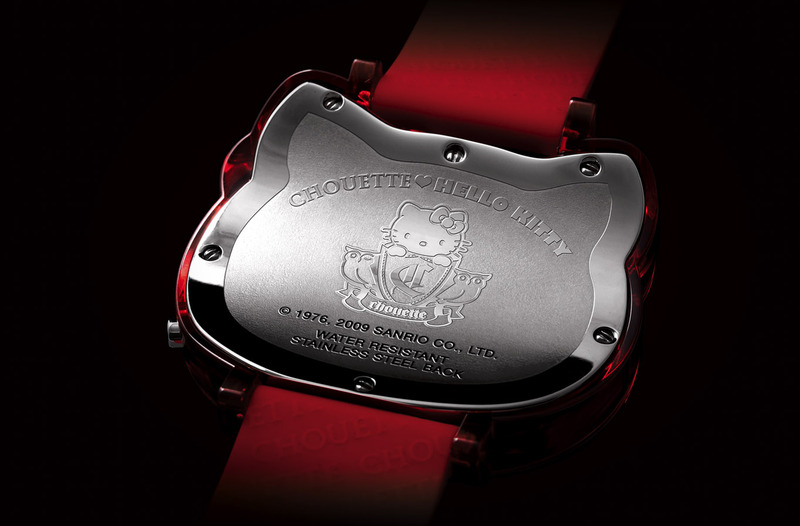 The cases have the iconic shape of Hello Kitty and are mainly in steel, with some plastic (or perhaps ceramic). Given the nature of the LED screen, you likely need to press a button for the time to appear. There are also a few other things that can appear like messages and shapes. 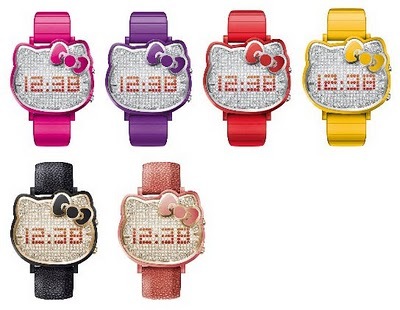 The watches are actually quite tasteful and nice in a high-end Hello Kitty kind of way. Price is about $620 - $800. 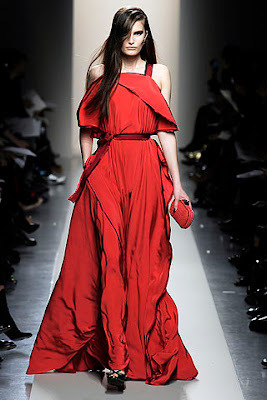 I think this is kind of chic but Head to toe is a little too much though in details and in certain pieces i would love it! 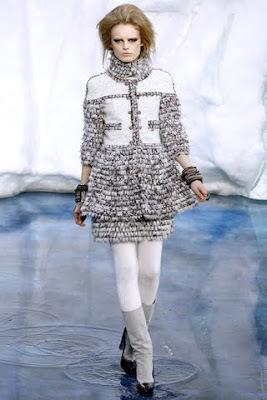 Chanel's fall 2010 collection is filled with faux fur. 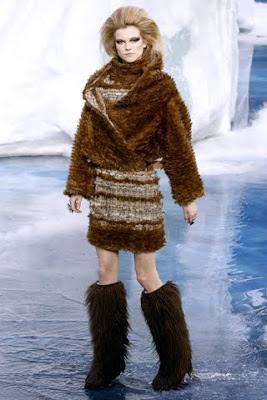 At first I was not aware the fur was fake but now that I know it is I can appreciate the collection more. 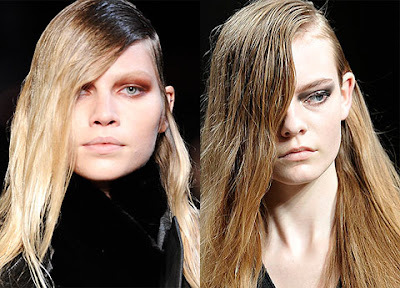 I don't like fur and I would never use any real fur in my designs. This is a good thing this collection yes unfortunately it promotes fur but on the plus side such a high class expensive brand using Faux fur promotes those who do want fur to use the fake stuff! 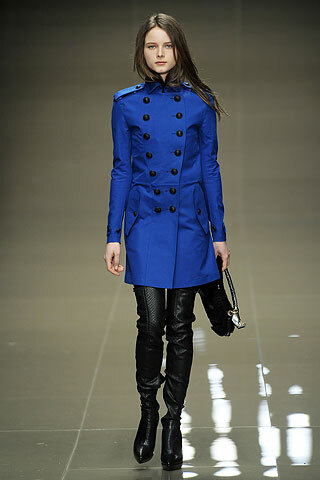 Alexander McQueen's 16 piece show was amazing. I wish it could have been longer so we could see more of what he has done but it was really nice to see! 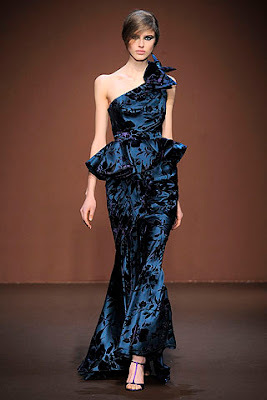 I love the collection and it shows that he was such a talented designer and he will live on in our memory! This Video is really inspiring my design's! It is really inspiring me right now! 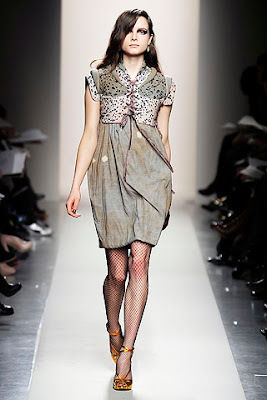 I love the Alice in wonderland concept but done so well with the "Harijuku" edge. I love it...its older but i have been watching it quite a few times for inspiration! I love Gwen Stefani! What do you think? 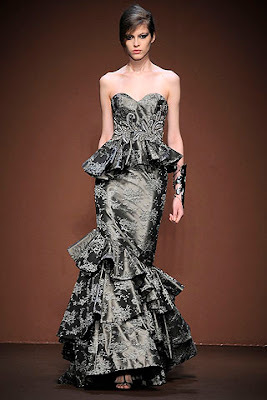 I like it depending on the clothing and the collection.